We are a National Labrador Club formed by the members, for the members, working together for the preservation and promotion of the Labrador Retriever. 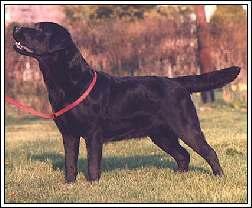 The National Labrador Retriever Club, Inc. exists for the protection and preservation of the breed, to encourage education of the general public who may want to add a Labrador to their family and to meet a social responsibility to it's members, the general public, and the Labrador world in particular. To this end, we adopted a Code of Ethics to serve as a guide. Our Breeders Directory lists breeders alphabetically by state who can help with questions about choosing reputable breeders or stud dog owners, explaining the importance of screening for hereditary disease and answering general questions about our breed. Be sure to read the very informative articles, Guide to Buying a Labrador and Are You Ready for a Puppy or Dog? A newsletter, The Labrador Connection, is published by the club periodically when sufficient material is received. The Labrador Connection's newest electronic issue is emailed to members when it is published and all issues may be viewed online at any time. The membership voted overwhelmingly to promote the FCI Standard, the standard by which 80 countries throughout the world judge the Labrador retriever (the USA is not among those countries). The membership has also voted to put $5 from each dues payment into a Genetic Research Fund. One of the ongoing goals of The National Labrador Retriever Club, Inc. is to support research which will have an impact on our breed. You also support our research and education goals by purchasing products from the NLRC Store. The National Labrador Retriever Club, Inc is pleased to announce our new Junior Sponsorship Program. The purpose of this program is to encourage participation of Juniors in conformation and performance events with Labrador Retrievers. A maximum $500 annual grant will be awarded to successful applicants which is used to reimburse the sponsored Junior for their entry fees in conformation or performance events in which the Junior participates with a Labrador Retriever. The National Labrador Retriever Club, Inc makes donations that protect the purebred Labrador Retriever. We would like to share the above banner that was sent to us for our club's last years' donation to the American Kennel Club Canine Health Foundation. The AKC CHF funds canine health research that investigates the root causes of canine diseases and illnesses...research that can produce new, innovative therapies -- therapies that can offer help for previously untreatable canine diseases and illnesses.